We have used Michael for the build out of two office locations. His knowledge in the industry and access to the best products and pricing have contributed to providing Accolade with the very best in functional and comfortable office environments. During our new office deployments and re-locations, Michael and his team has always been where he said they would be, when he said they would be, and commands extensive resources to deploy office systems within critical time frames. 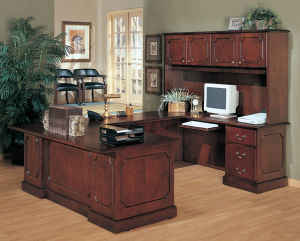 InYourOffice has made it its business to know our business and Michael is proactive in keeping us up with the latest furniture and office systems. We will certainly use Michael for our next move and/or expansion.